1896. New York: D. Appleton and Company, 1896. 10 pp undated ads. Original green cloth decorated in red and black. 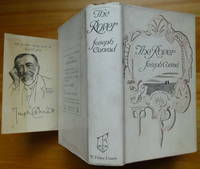 First American Edition of Conrad's second book, issued as #198 in Appleton's "Town and Country Library." 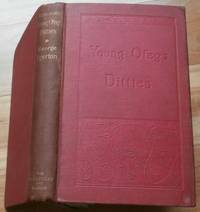 Books in the "Town and Country Library" were issued in three formats: this standard one in cloth (priced at $1.00), one for half that price in wrappers, and a deluxe one (actually a separate printing) in half leather. 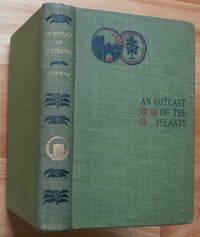 The text for this title was considerably bowdlerized: to quote from Cagle,~Because AN OUTCAST OF THE ISLANDS was scheduled for inclusion in a family library series, it was decided, in the interest of propriety, to purge it of all descriptions, however innocent, of love making between Willems and Aissa. 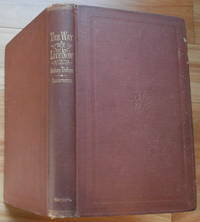 Where necessary, the editors wrote their own linking passages.~This is a fine copy (one fore-corner slightly bumped). Cagle A2b.2. Conrad’s Second novel (An Outcast of the Islands) is about the colonial enterprise and their faults while they take a region. The characters are complex and deep. It makes for a great read.Please Note: This book is easy to read in true text, not scanned images that can sometimes be difficult to decipher. The Microsoft eBook has a contents page linked to the chapter headings for easy navigation. The Adobe eBook has bookmarks at chapter headings and is printable up to two full copies per year. Both versions are text searchable. 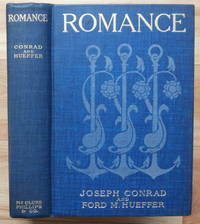 Conrad, Joseph & Hueffer, Ford M.